Adobe Photoshop Touch has long been one unique application for iPad . The larger screen size of the tablet made edit photos and apply effects, was a much more comfortable to control from a diagonal display much greater than that of the iPhone. Times change and it has been shown that photo-editing application for iPhone do have their niche. A good technique to stand out from all the existing ones is to have the stamp of "Photoshop" in the name, so Adobe has been working for the iPhone can take advantage of an adapted version of Photoshop Touch to your Apple. The application is able to work with photos up to 12 megapixels and provides access to a free account with 2GB Creative Cloud storage in the cloud service that offers the ability to get the job done in Adobe Photoshop for iPad or computer . The price of Adobe Photoshop for iPhone is a little high but those who are able to capitalize on an application with so many possibilities, monetize know it costs money. 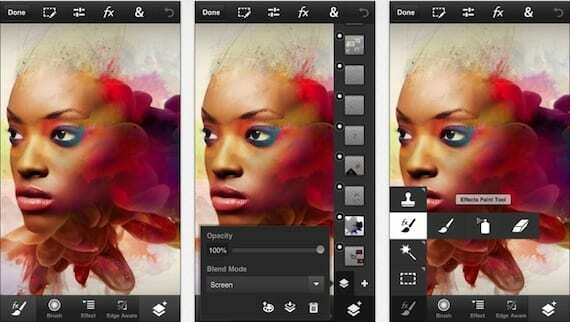 Article Adobe Photoshop Touch lands on the iPhone has been originally published in News iPhone .